Unlimited opportunity. That’s what comes to mind when I think about the future of the Internet of Things (IoT). And, that is both a blessing and a curse. As the IoT proliferates, billions of cloud-connected devices are expected to be designed, manufactured, and deployed over the next decade. Our increasingly connected world will become hyper-connected, transforming our lives in ways we likely never thought possible. We will see smarter cities where the commuter is automatically guided, smarter farming where livestock health is individually monitored with on-call veterinary services, smarter healthcare to reduce the spiraling costs, integration between smart white goods and utilities to manage grid loading, and the integration of smart retail and personal assistant AI to provide a “curated” shopping experience. That future is limitless and exciting. But it is also frightening. We have already seen the headlines of how attacks have impacted businesses and people with valuable data being stolen or ransomed. It is widely believed the attacks are just starting. Devices—not often seen as likely hacking targets—now have the potential to be weaponized. No one wants a device or application that is prone to hacking or theft. Hacks, malware, and IP theft have a significant dollar cost and can destroy corporate brands and reputations. And these devices may have extended lifecycles of decades. And a “secure” connected device does not guarantee a secure system. All too often, security has been an after-thought in the development of systems. Hardware, software, communications, and communications protocol, device commissioning, applications layers, and other systems considerations all could impact security of a device and its data. The future of IoT must see security become an integral part of the design and deployment process, not merely an after-thought or add-on. Delivering security-orientated embedded systems is a major challenge today. It will take a strong ecosystem and the development of a “supply chain of trust” to deliver truly secure product creation, deployment, and lifecycle management for the rapidly evolving IoT marketplace. Security needs to be architected into devices from the moment of inception. In addition, it needs to be extended across the supply chain, from security-orientated chips through to manufacturing and management for the lifecycle of the product. To deliver secure manufacturing and ensure no malware can be injected, cold and hard cryptography principles must be relied upon to ensure solutions are secured. Security principles should be embedded in every aspect of the system from the delivery of secure foundations in the silicon device, through to the secure mastering and encryption of the OEM codebase to ensure it is protected. The programming and manufacturing stages may then freely handle the encrypted code base, but the utilization of secure appliances, which integrate high-integrity and high-availability hardware security modules, enables secure enclaves to be integrated into the process to manage and orchestrate all key material. Furthermore, the ability to encrypt applications within the development process and subsequently decrypt the images in place within the device is a critical to securing the intellectual property. While simple in theory, there are multiple aspects of a system that must be secured, encompassing the device, the mastering of the application, the handling and sharing of the keys, and the loading of the application on to the device. The only real solution is to develop a “zero trust” approach across the supply chain to minimize vulnerabilities and continually authenticate and individualize deliverables as far as possible. While this integrated approach cannot resolve all aspects of counterfeiting, it does mark a key rallying point for the industry, and finally enables the industry to start to draw a line under the mass counterfeiting and over-production of devices. And all stakeholders in the process—including device platform providers, OEMs, programming centers, contract manufacturers, end users, security experts, and standards bodies—must do their parts to make cyber-secure programming and manufacturing ubiquitous, easy to use, and easily adoptable. As I said, the future of IoT holds limitless opportunity, and that will drive new solutions. There will be new business models and new ecosystems. The threats are real, and the cost of failure could be astronomical. So, for the future of IoT to be bright, it must start with security. This article appears in Circuit Cellar 324. 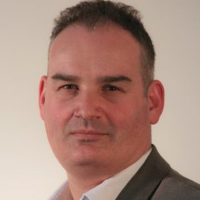 Haydn Povey is the Founder/CEO of Secure Thingz, a company focused on developing and delivering next-generation security technology into the Internet of Things (IoT) and other connected systems. He also currently sits on the Executive Steering Board of the IoT Security Foundation. Haydn has been in senior management at leading global technology companies for more than 20 years, including 10 years in senior marketing and business development roles at ARM. This entry was posted in CC Blog, Tech The Future and tagged cloud computing, cloud-connected devices, hacking, Internet of Things, IoT, security, Tech The Future by Circuit Cellar Staff.